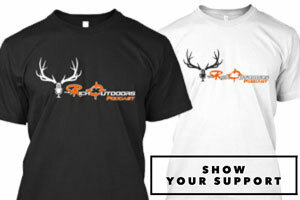 As many of you know I was recently able to punch one of my elk rifle tags using my .45-70 Sharps 1874 rifle. This was quite the experience and a lot of the inspiration to do so stemmed from todays guest. 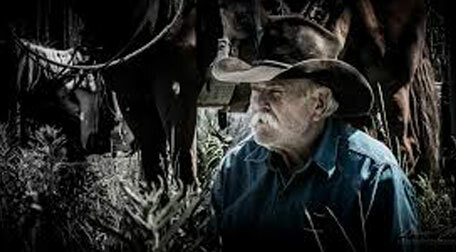 Clayton Marxer aka The Adventure Cowboy is a friend of mine who shares a similar passion for the old west and the guns of that era. Clayton has a fascinating story and joins me on the show to talk western traditions, old guns, and of course elk hunting and my recent elk hunt. If you enjoy this conversation and old guns be sure to check out his Youtube channel The Adventure Cowboy and give him a subscribe. 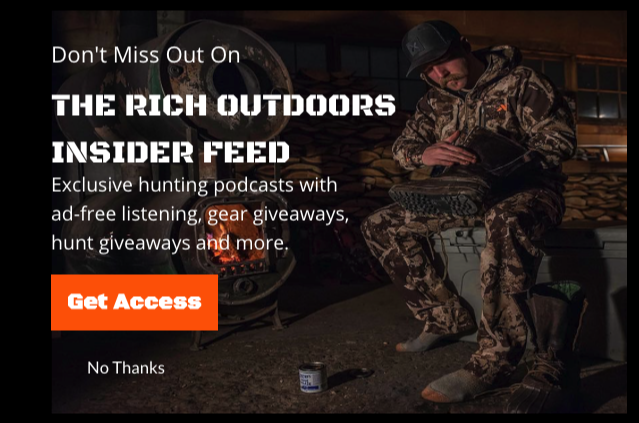 The primary mission of The Rich Outdoors Podcast is and has always been to educate and inspire hunters to become better, better outdoorsman, better hunters, and better people. One of the oldest forms of learning is through conversation, and with the podcast, people can learn and grow by joining the conversation with those you have made mistakes before them. The Rich Outdoors has been fortunate to have many of the greatest hunters and greatest people on the show to share their knowledge. Wether it be Wayne Calton, Will Primos, Larry Jones, Remi Warren, Shane Dorian, Jason Carter, or any of the dozens more, the amount of knowledge shared on this podcast is amazing. 100th Episode Switch Up! Cody Rich Gets Interviewed by The Gritty Bowmen. The Experience: Dan Catlin, Jason Price, and Dallas Hemeyer. 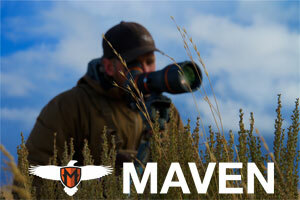 Brandon Evans: Elk Hunting in Wyoming, Tag Draw Application Elk, Sheep, Goat, Moose. 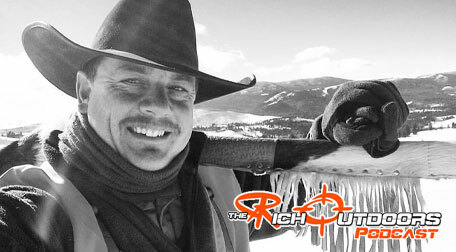 Brian Uthmann: The Greatest Elk Hunter You Have Never Heard Of. Pedro De Ampuero: Hunting around the world and what it can teach us about becoming a better hunter.